Hydrolats (also known as Hydrosols) are the waters that are collected when plant material is steam-distilled to extract its essential oil. Although Hydrolats have similar properties to essential oils they are much gentler, which makes them ideal for using direct on the skin. Hydrolats make excellent skin toners and, unlike other commercial toners, are 100% pure and natural with no alcohol or harsh chemicals to dry and irritate the skin. As well as using them for toning, Hydrosols can be used with our Natural Clays, Aloe Vera Gels and Compressed Face Mask Towels to make complexion boosting face masks. Watch our videos to find out more. 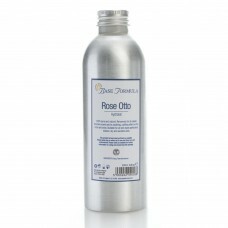 They can also be used in the Summer months as therapeutic skin spritzes. Chamomile Hydrolat (Hydrosol) has a fresh, slightly "grassy" aroma that can be described as both mil.. Lavender Hydrolat (Hydrosol) has a grassy, "straw-like" fragrance that bears no resemblance to Laven..
Rose Otto Hydrolat (Hydrosol) is renowned worldwide for its incredible toning, nourishing, hydrating..
Witch Hazel Hydrolat (Hydrosol) has a fresh delicate scent. It makes an excellent skin cleanser and ..